The Romans are marching into Shropshire Discovery Centre, Craven Arms this Easter with two great events plus on Good Friday an Easter Crafts drop-in event. Set in a unique grass-roofed building, the Discovery Centre is the perfect Family location this Easter. Become a Romano-Britain living in the vicinity of the fourth largest city. Make a groma and see if you can set out a straight Roman road. Try a snack and try eating it lying on a ‘couch’. Plan a banquet and do your maths homework with roman numeral on a tablet. Test your knowledge of what foods were introduced here by the Romans. See if you are worthy of being a citizen – can you properly fold a toga? Bake a Libum – the sweet cheesecake sometimes offered to household spirits. Cook an egg dish – the most popular of all Roman appetizer ingredients and pottage their main food. Finish with a date and nut sweet. £7.50 per accompanied 4-11 year old, booking essential. 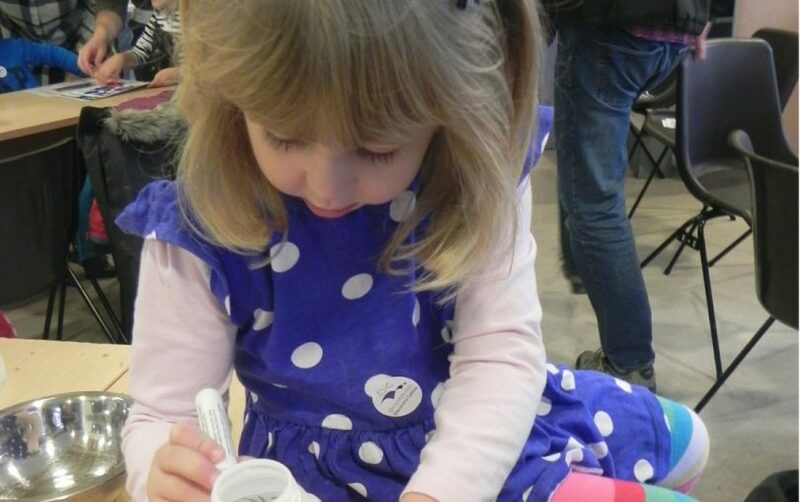 Spend Good Friday with the team at the Discovery Centre trying your hand at fun, seasonal crafts; from 3D eggs to sheep with fluffy paint, yellow fork painted chicks to paper rabbits disappearing down their hole, and various flowers galore as we enjoy the Spring. Just £4 per child aged 3 and above. Visit the Shropshire Hills Discovery Centre website here for more details.